This terrific recording by Eliane Elias salutes the 50th anniversary of bossa nova in a number of explicit ways. For one thing, it contains the three most famous tunes by its most famous composer, Antonio Carlos Jobim ("Girl from Ipanema," "Desafinado," and "Chega de Saudade,"), where Elias paraphrases his familiar piano solos; for another, the generous use of strings is a nod to Jobim's classic albums with arranger Claus Ogerman. "It's a part of the sound," Elias explains, "and it suits the music so beautifully." Finally, there's the spirited participation of guitarist Oscar Castro-Neves and drummer Paulo Braga, both bossa nova pioneers who have long experience playing with Jobim. Bossa Nova Stories is an ideal showcase for Elias, whose music is both grounded in tradition and full of surprises. Her last CD, Something for You, was a well-received tribute to Bill Evans which also yielded a concert of historic import as well. This one includes her tropical take on hits by Stevie Wonder ("Superwoman") and Chris Montez ("The More I See You"), and gems by Johnny Mercer and George Gershwin. There are also newer Brazilian classics: "I'm Not Alone," composed by (and sung with) Ivan Lins, whom many consider to be Jobim's melodic successor, and the gorgeous "Estate" ("Summer"), which was written by two Italians, but transformed into a bossa anthem by Joao Gilberto (on his Live in Montreux album [Elecktra/Asylum/Nonesuch, 1985]). This "Estate" also features the legendary Toots Thielmans playing luscious harmonica at the age of 85. And as always, whatever the era or style of the music, Elias swings it like mad. 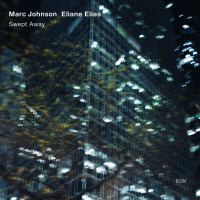 By now, Elias is well-established as an exceptional composer, singer, and classically-trained pianist. Her voice on Bossa Nova Stories is better than ever; it has evolved from soft and breathy to strong and compelling, which Elias attributes to a recent coach who "opened up a whole new world" for her. But some things never change, like her very Gilberto-like ability to float over the rhythm with impeccable time, and the fact that, if you listen carefully, you can hear her smile as she sings. This CD will delight existing Elias fans, and invariably recruit many others. Elias's sound is unique and instantly identifiable, and she also possesses that rare ability to lift the spirits of everyone who hears her. Bossa Nova Stories is absolutely first-rate, joyous stuff and highly recommended. Track Listing: he Girl From Ipanema; Chega De Saudade; The More I See You; They Can't Take That Away From Me; Desafinado; Estate (Summer); Day In Day Out; I'm Not Alone (Who Loves You? ); Too Marvellous For Words; Superwoman; Falsa Baiana; Minha Saudade; A Ra (The Frog); Day By Day. 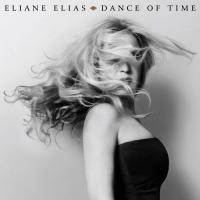 Personnel: Eliane Elias: vocals and piano; Oscar Castro Neves: guitar; Marc Johnson: bass; Paulo Braga: drums and percussion; Toots Thielemans: harmonica (7, 13); Ivan Lins: vocal (8); Orchestra arranged and conducted by Rob Mathes (1, 3, 5, 6, 8, 9, 14).